Directed by : Rainer Werner Fassbinder. Produced by : Michael McLernon, Dieter Schidor, Sam Waynberg. 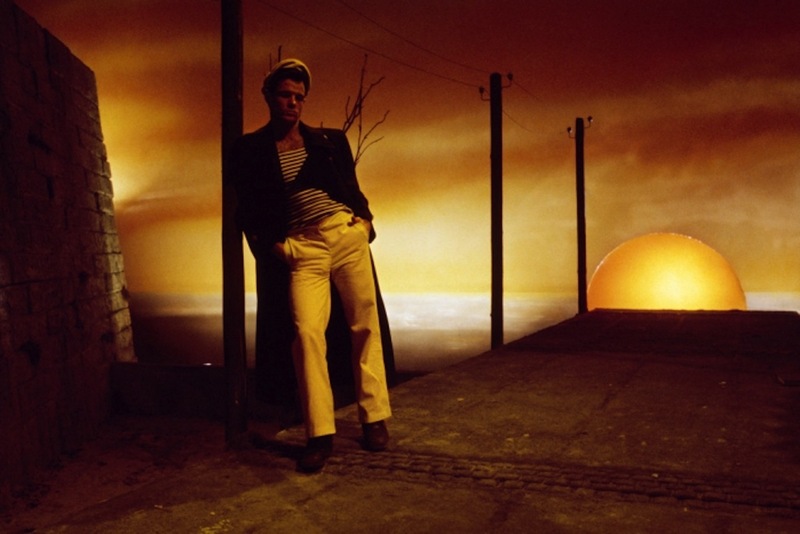 Screenplay by : Rainer Werner Fassbinder, Burkhard Driest, Kurt Raab. Editing : Rainer Werner Fassbinder, Peer Raben, Julianne Lorenz. Photography : Xaver Schwarzenberger. With : Brad Davis, Franco Nero, Jeanne Moreau, Laurent Malet. A ship, « Le Vengeur », draws alongside the Brest harbor. 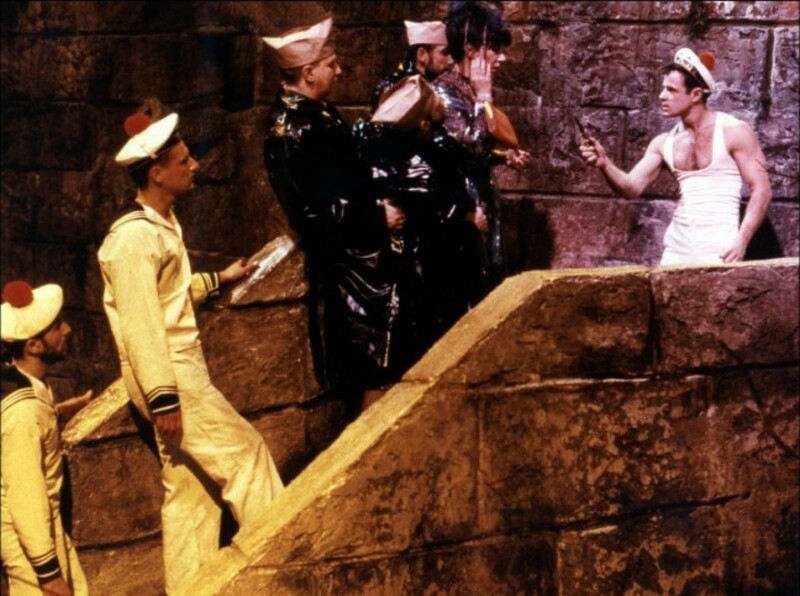 Querelle gets off the boat. 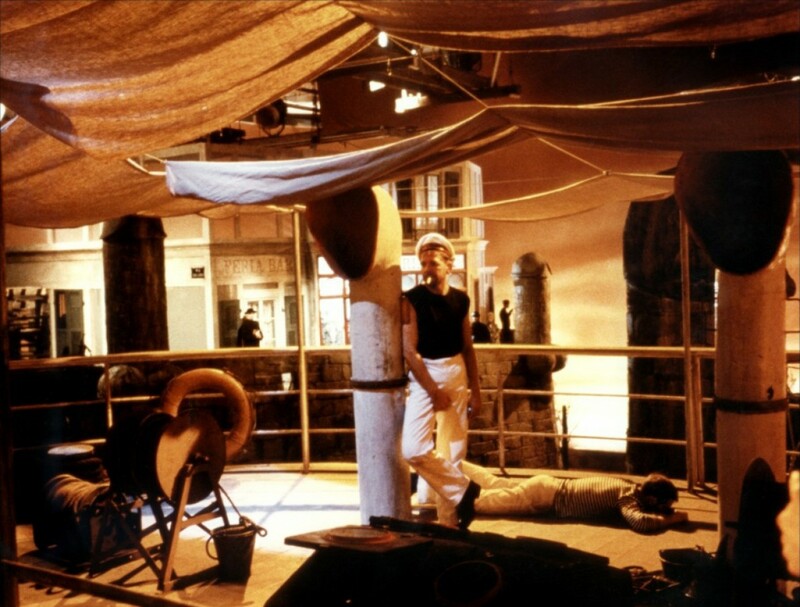 He’s a handsome and attractive sailor, whose superior, Lieutenant Seblon, has been fantasizing on. Querelle is meeting up with his brother Robert at La Feria, a brothel. This parable on the appearances would probably not be the same without Brad Davis (Midnight Express), at the height of his career, who took a tremendous risk by taking part in this film. 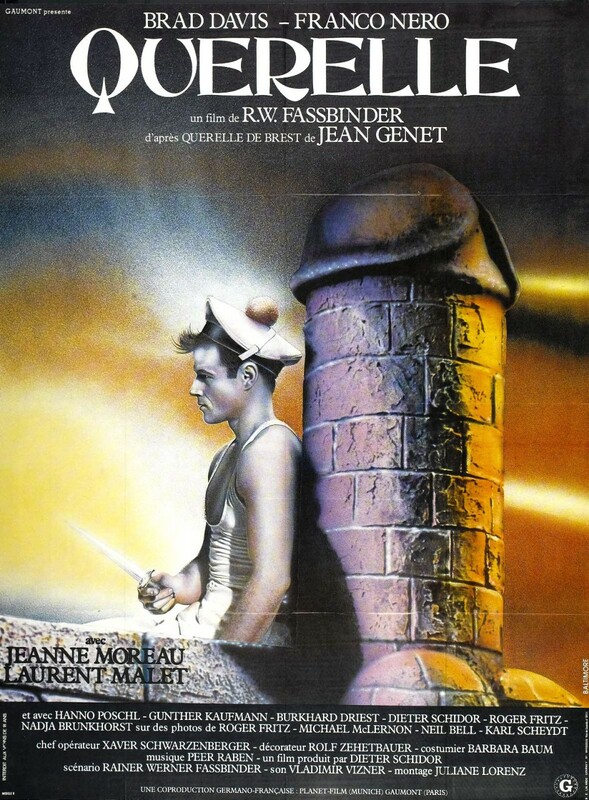 For his last feature, the German filmmaker based his script upon Jean Genet’s novel and crafted a « love song » to exorcize his last devils. It’s one of these trips from which there’s no coming back. And you don’t come back from Querelle.